Your shoulder is an important joint. The trouble is, as you get older your shoulder joint becomes worn and for some it becomes so badly worn that it can lead a debilitating condition. In other instances, you might suffer a shoulder injury. In either instance, shoulder surgery restores your range of motion by repairing the rotator cuff or other areas of your shoulder. There are a few different kinds of shoulder surgeries and when necessary you can even have a complete shoulder replacement. Your orthopedic surgeon will determine the surgery option(s) that is best for your particular situation. Repairs to your rotator cuff are the most common shoulder surgery. They cause pain and can be disabling. Most of the tears are located in the supraspinatus muscle; however, other parts of the rotator cuff can also be damaged. The tear can be caused by a traumatic injury or it can be the result of a badly worn rotator cuff. You may have already been to your doctor a number of times over a period of time and you might even be able to pinpoint the injury when the pain began. 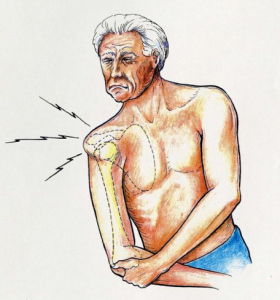 The rotator cuff surgery is designed to repair the tears and get rid of the pain. A surgeon will do a partial shoulder replacement if you have an intact glenoid socket so there’s no need to replace it. The humeral component is implanted along with a replacement of your humeral head. If you have a partial shoulder repair the ball of your shoulder joint will be replaced. Because less bone is removed, a plastic socket isn’t needed and the incision is much smaller than with the total shoulder replacement. A total shoulder repair, which is called arthroplasty, is done when there is a need to improve your shoulder function and eliminate pain. With this surgery, a replacement is done on both sides of your joint, which includes the socket and ball. The ball is made of metal and the socket is made from either a plastic compound or polyethylene. These replacements have been designed to last decades providing you avoid over use of the joint. Orthopedic surgeons are usually the doctors that take care of these types of surgeries. When you go to your initial consultation you should be prepared to ask your orthopedic surgeon any questions you might have such as how long you should expect the recovery time to be, how long it will be for you to heal completely, will you have to have physiotherapy, what will your after surgery care will look like, and can you expect a full recovery. It helps to write out your list of questions before your appointment. After your shoulder surgery, you can look forward to improved mobility and a reduction in pain.